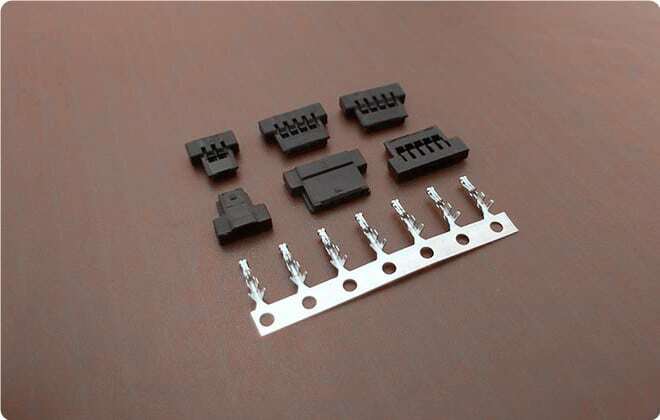 1.25mm pitch spacing wire to board connectors are widely used in many application for transfer current or signal. 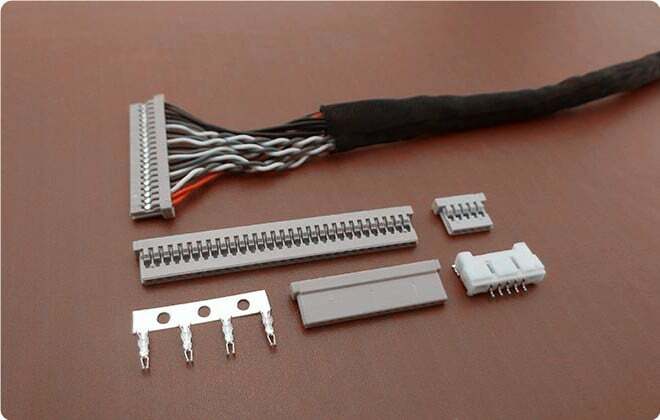 Scondar offers reliable connection connectors and 100% compatible with original brand, like Molex PicoBlade series and Molex PanelMate series connectors. JST GH series connector with lock security device is widely used too. If you can not find the connector you want, feel free to contact us for help. 1.25 pitch connector is a small, space-saving connector which gives the same amount amperage and voltage as a 2.0mm pitch connector, only it is more compact. 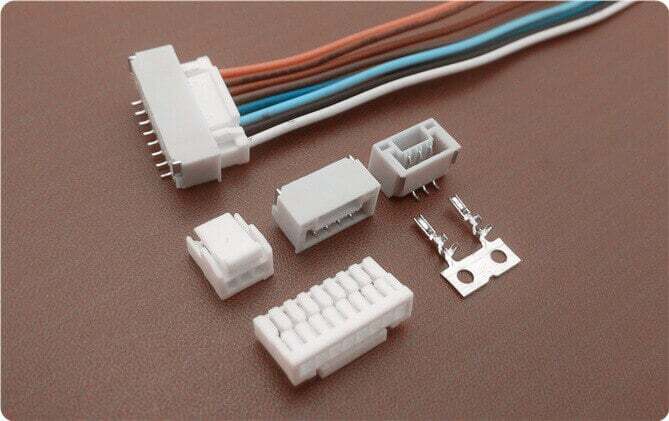 For limited-space requirements, the 1.25mm pitch connector is preferred, reducing about 45% PCB of space consumption compared with 2mm pitch connectors. 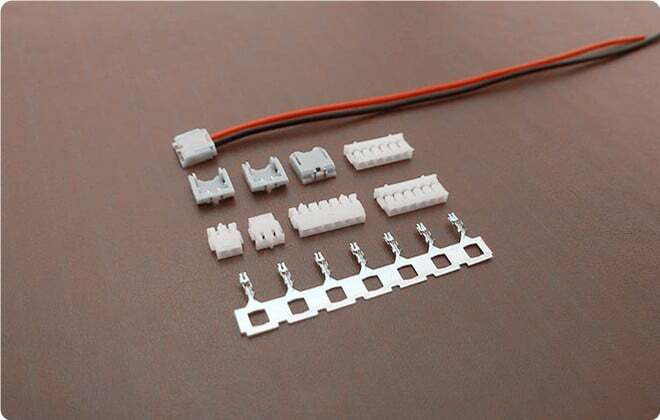 Scondar offers reliable connection 1.25mm pitch connectors and 100% compatible with original brand, like Molex PicoBlade series and Molex PanelMate series connectors. 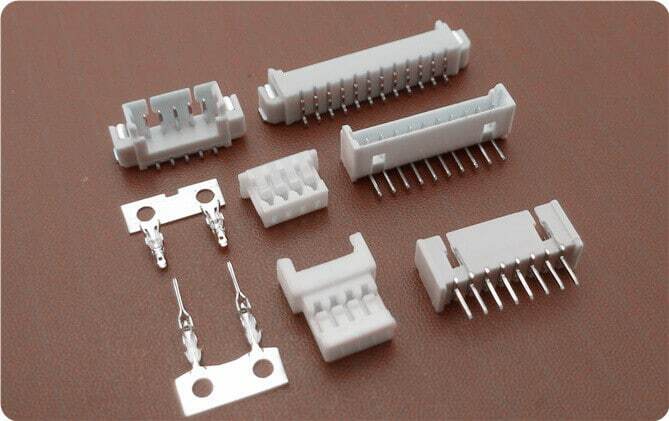 JST GH series connector with lock security device is also widely used. JAE FI-S series and Hirose D13 and D14 are also offered. PicoBlade is Molex’s leading wire-to-board and wire-to-wire 1.25mm pitch connector system providing design flexibility with multiple header options, including 0.38μm gold plated versions making this system ideal for a variety of applications across many industries. Molex PicoBlade has an overmolded shell feature designed for high density, high speed harness and crowded applications, withstanding higher strain and mechanical stress. This connector has a top entry and a side entry height of 4.25mm and depth of 7.35mm, delivering 1.0A AC/DC, and is available in 2 through 17 circuits, accepting a range of 26 AWG to 32 AWG. It has a polarized mating feature that prevents any sort of mis-mating of harness to header. This low-profile connector with polarized design and crimp-style lock is rated at 1.0 A AC/DC, 50 volts and can accomodate 28-32 AWG. It has a mounting height of 5.8mm for SMT straight type, 5.3mm for DIP type and 3.6mm at the right angle. The contacts are tin-plated phosphor bronze which can be of have dual row achieving multi-contact (up to 40 contacts), with a 30% higher density to sustain mechanical stress in the mounting area. An embossed tape packaging secures automatic mounting with the header providing vacuum absorption and designed to completely prevent mis-insertion. 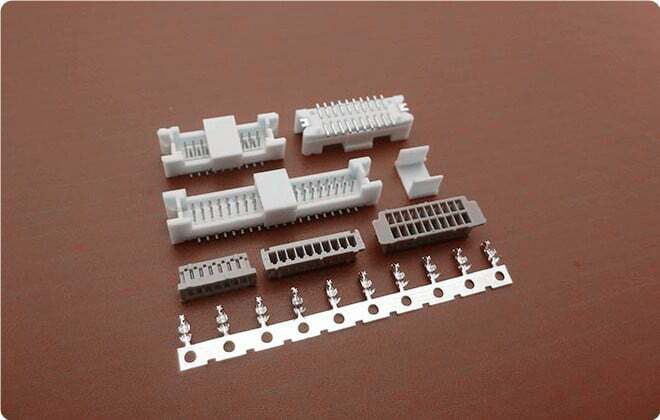 Furthermore, the surface mounting (SMT) header is designed durably being equipped with the metal fitting to prevent solder peeling. Common applications include Note PC and mobile terminal. 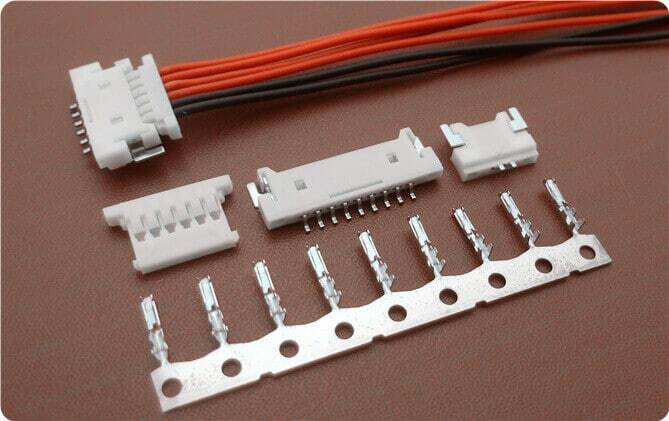 This type of connector is specially made for right angle mounting for low-profile applications, having only a board mounting height of 2.5mm. Signals can still be transmitted and pursued where there is no contact between two board or board-to-board space. The shrouded header is designed to absorb vacuum upon insertion to aid in preventing connection mishaps providing good guidance for the mating connector. Also, the header is equipped with a box structure preventing it from being twisted. Furthermore, metal fitting is attached preventing solder peel. Molex takes pride on its 1.25mm pitch low profile, PanelMate™ connector, which is a derivative of the PicoBlade delivering the same current rating and voltage but with an ultra-low profile design suitable for flat panel displays. The PanelMate has a minimum height of 1.9mm and can fit slots with 10 centimeters and below thicknesses. JAE FI Series connectors low-profile connectors designed for wire-to-board cable applications with high-density contact spacing SMT and a friction lock housing enabling secure connections. Being available in single or double row shielded and unshielded versions, they are commonly found in notebook PC’s, VCR’s, mobile phones and other consumer applications, where reduced space is a requirement. The socket housing can be with or without a shield. An embossed tape packaging secures automatic mounting with the header providing vacuum absorption and designed to completely prevent mis-insertion. The GH 1.25 mm Pitch connector is a low profile connector designed for Plasma Display Panels (PDP’s), Liquid Crystal Displays (LCD’s) or other small sized equipment. Scondar offers a crimp style lock and a configuration which prevents users from inverted insertion. This connector delivers a current rating of 1.0 A per contact for AWG #26-30, being suitable for either power transmission systems or chassis wiring. Top entry configuration for this connector only consumes a height of 7.3 mm and depth of 4.25 mm. Whereas, side entry configuration consumes a height of 7.15 mm and a depth of 4.35 mm. Compatibility with SHL Connectors.